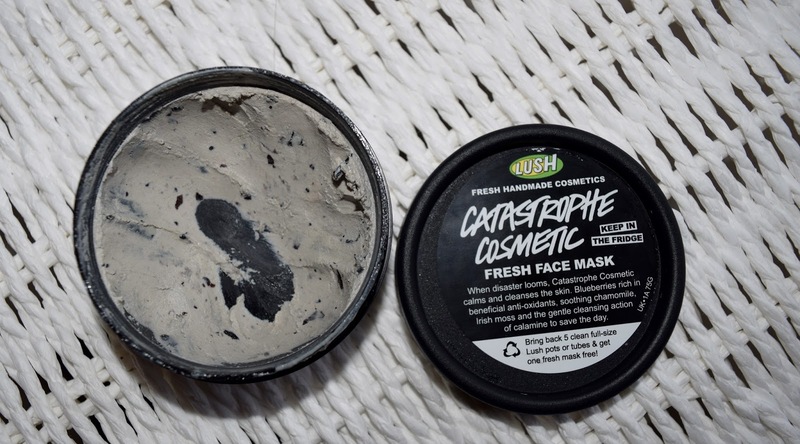 For the past few weeks I have been using this amazing mask from Lush. I originally bought it at the Lush event as I needed something at the time to calm down the redness and spots on my face. I never ever had spots as a teen, I used to have really dry and sensitive skin on my face but as I've gotten older and worn more make-up I feel my skin is now combination. Due to this, I now occasionally get spots as an adult. I've never been a huge fan of masks if I'm quite honest. They're messy, take time and I never really noticed a difference. 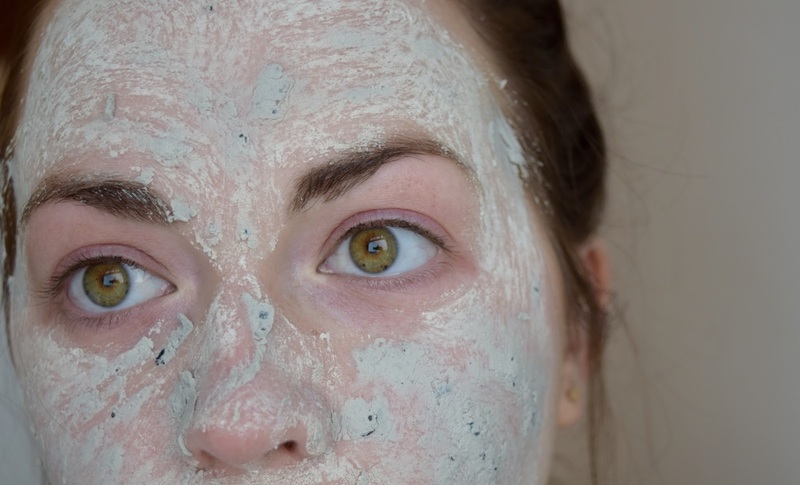 However, looking back, these were the kind of £1 masks in a sachet you get from Boots or Superdrug that smell incredible but didn't do too much for my face apart from make me look like a mix of Shrek and Papa Smurf! Also, some of my friends and even my sister have had reactions to these types of masks and it has lead to redness and rashes. Not good. Catastrophe Cosmetic however is different. It's packed full of calming ingredients to smooth and soothe your skin such as fresh blueberries and chamomile blue oil. It hasn't got a strong scent either so those of you who possibly aren't the biggest fans of Lush because maybe you are put off by the strong smell down the high street, this could work for you! In the first couple of weeks I noticed a huge difference. Spots and redness were dramatically reduced and my skin felt more balanced. In recent weeks now the spots have gone, i've found it's been a perfect way to calm down my skin if I've been wearing a lot of make-up. Especially around my chin and nose it can get quite oily but after using this mask my face is instantly better and brighter. May I also add that it hasn't given me any rashes nor does it leave my face feeling dryer than the Sahara Desert. 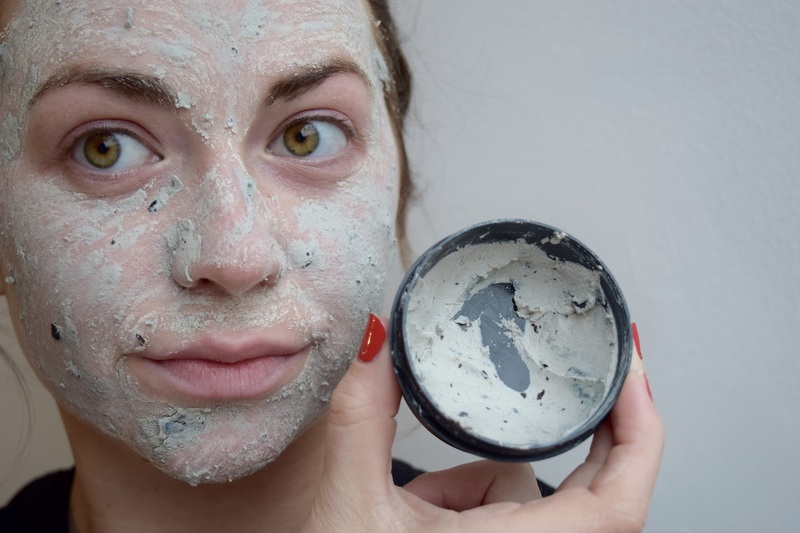 So if you're after a mask for your sensitive skin or just want to try one that actually works, then this is the one for you! Plus, if you didn't know already, if you bring back 5 clean full size Lush pots you get one of their masks for free-perfect! It is quite messy to apply, the blueberries aren't the most blendable of all fruit! Overall a huge 9/10 for this pot of freshness! 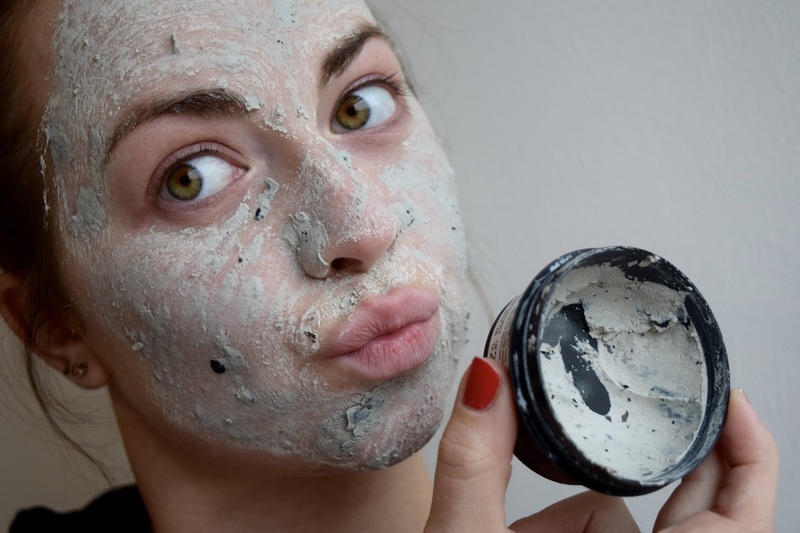 Thank-you for reading, if you have tried this mask or any others then leave a comment and let me know what you think below.